As much as I hate to admit it, I am one of those people who leaves everything to the last minute, school uniform shopping included. I always end up panicking a few days before school goes back when I realise that I’ve forgotten to sort out new uniform. Luckily this year, Tesco have helped me to get organised by asking us to review their school uniform range. The kid’s school uniform has always been a white or navy polo top with a navy jumper or cardigan. Easy. But this year there is a slight change to the uniform policy and navy polos are being changed for light blue ones. Navy and white always seem easy to pick up in any store you walk into but I wasn’t sure how easy it would be to find pale blue ones. Luckily Tesco had everything I needed, and at great prices. I came out of the store with a dress, two pairs of trousers, shoes for Max, a two pack of white polos, a two pack of blue polos and a seven pack of white ankle socks all for under £40. You really can’t grumble at those prices can you? 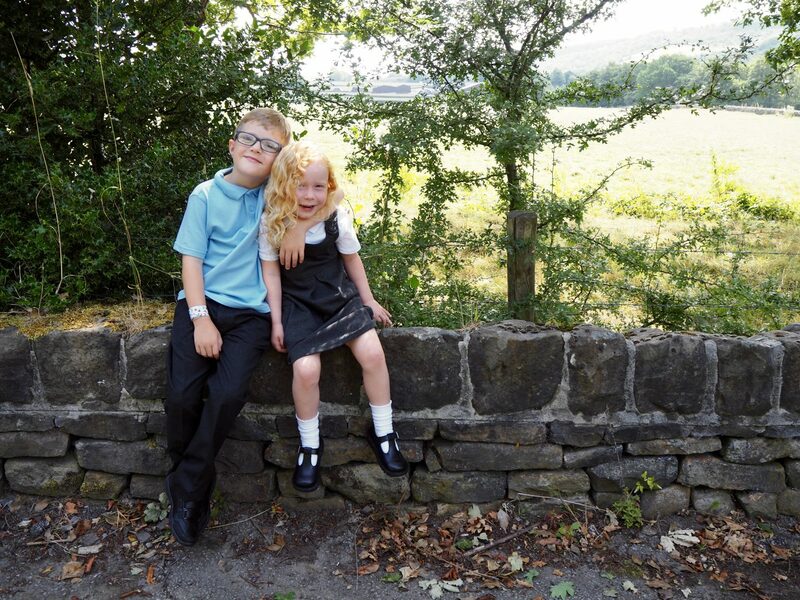 I find that trousers, skirts and dresses generally seem to last us pretty well as long as the kids don’t have a massive growth spurt half way through the school year! But the real test for us comes with polo tops and shoes, will they stand the test of time? 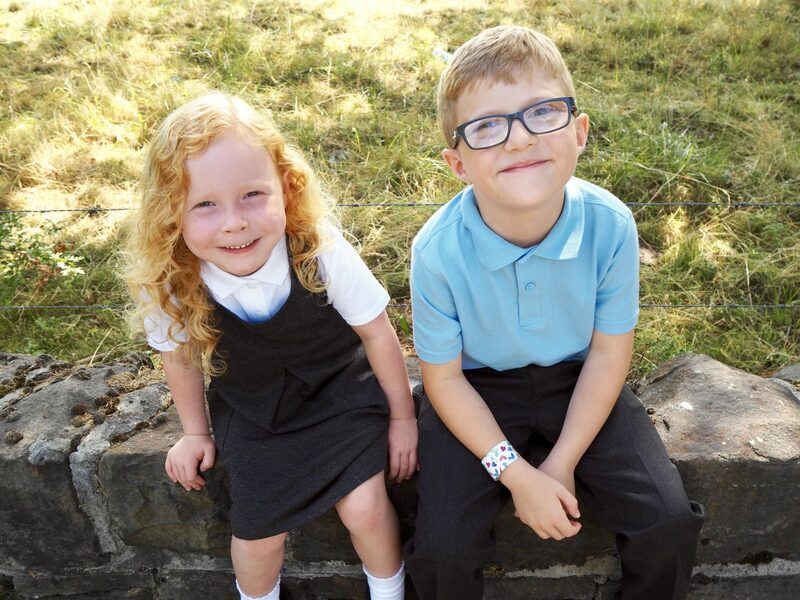 Tesco offer a 100 day guarantee on all of their school uniform items, which is fantastic. It’s great to know that not only is Tesco uniform brilliant value but excellent quality too. Sometimes school shoes can look like they are years old within a couple of weeks and we’ve even had shoes that have started to fall apart after a month! So I’m interested to see how Max gets on with these new ones. 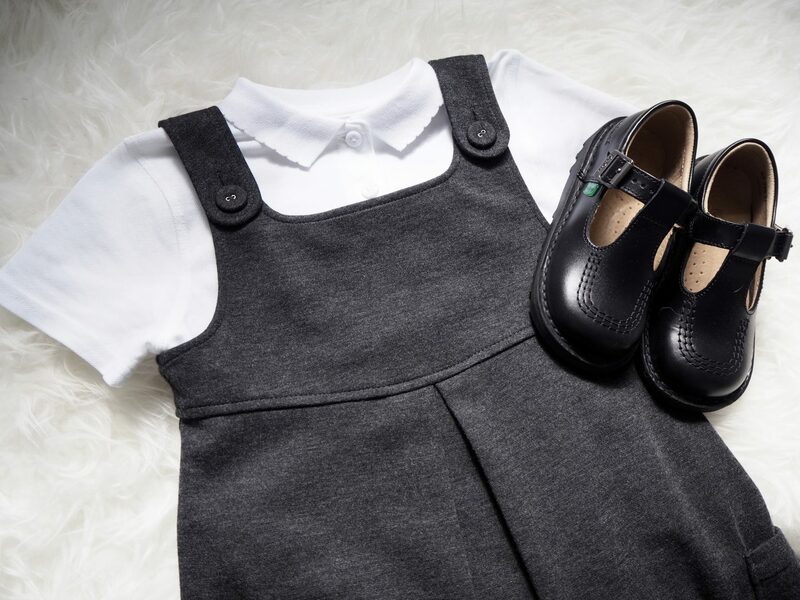 Tesco school shoes are scruff resistant, have a durable sole, promise all day comfort and include micro fresh lining. So far he’s tested them out in all the usual seven year old ways – running, jumping climbing etc and so far, so good. He assures me that they are very comfortable which is of course the most important thing. Polos, especially white ones are the bane of my life. They either get stained or go grey and discoloured in the wash. It’s near impossible to keep them white. Tesco polo shirts are 100% cotton and have a stain repel finish, so worrying that the kids are going to come home with lunch stains all over their brand new polo tops needn’t be a concern. Max’s trousers are slim leg which is a style that we prefer. 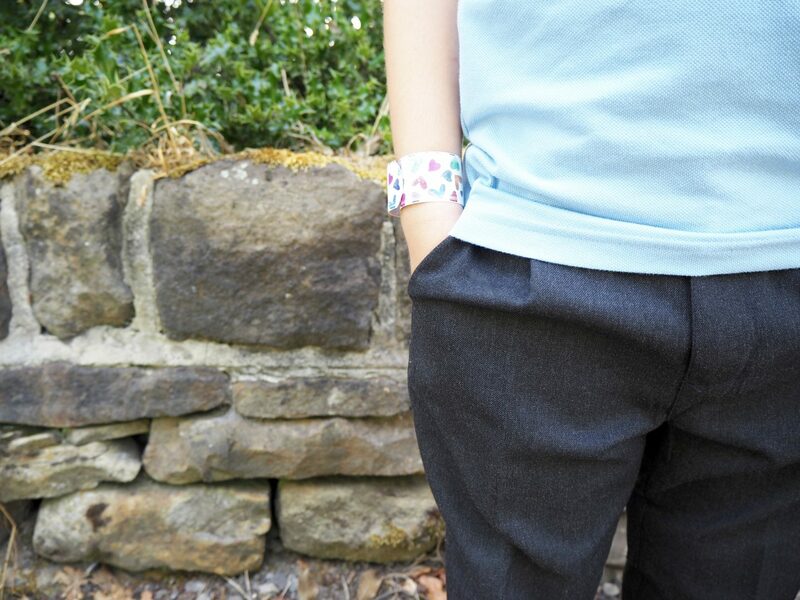 They also have an elasticated and adjustable waist so there’s no need to worry about the waist being too big on him and his trousers falling down! Evie likes to wear dresses for school rather than skirts or trousers, it’s just what she is most comfortable in. The quality of this one seems really good and for just £5 I’m really pleased with it. I like the pinafore style and the fabric is lovely and soft. I also picked up a pack of white ankle socks for Evie as we seem to get through so many of these during the school year. It’s another thing that gets stained and ruined super easily. These came in a pack of seven for £4.50 which is great value and should keep Evie going for a while. We are really happy with the Tesco school uniform so far. I’m impressed with the quality for such low prices and the 100 day guarantee gives me that confidence that it will last the test of time. Not only that but don’t they look smart in their new uniforms? 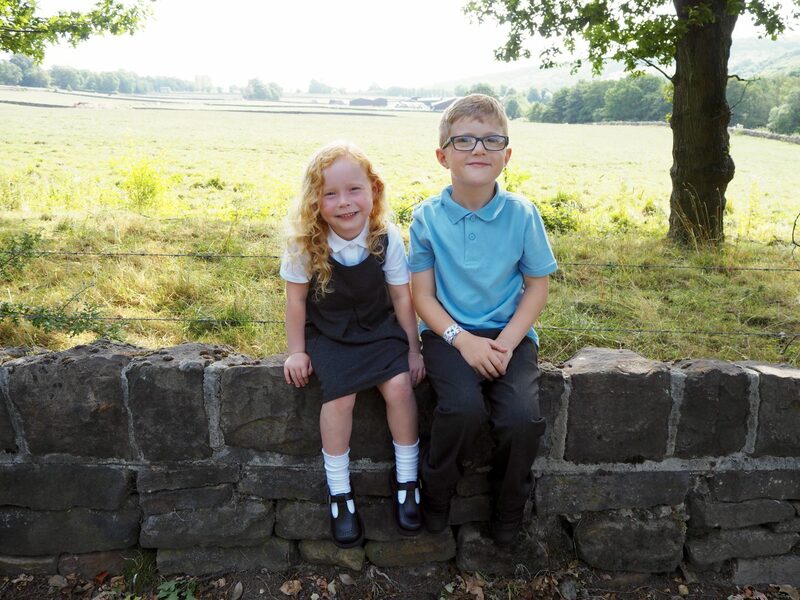 You can browse the Tesco school uniform range online here, or at your local store. 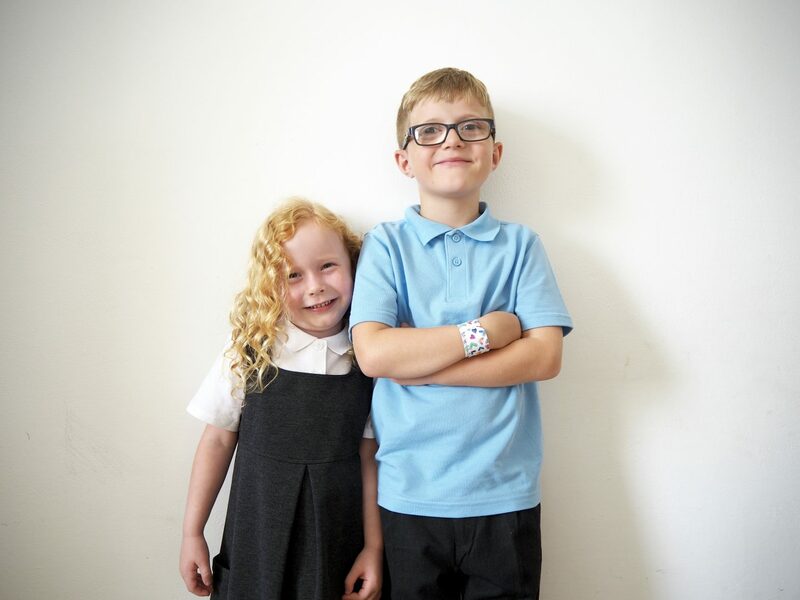 Have you tried Tesco school uniform before? I used to use Tesco for their school uniform and the back to school coats but since the website shut down I am not able to because the nearest store is miles away. I am quite gutted about it because the quality is great and the prices are even better!